Are there specific secrets that can makeover your apartment or house into something special? Designers think so. 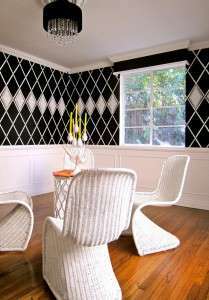 While every home is a little different, interior designers know seven little tricks that can makeover just about any space into something worthy of a magazine spread. Secret #1: Where you shop matters. Look in places where the average person doesn’t shop for furniture and be sure to mix and match items. You’ll save a ton of money and you’ll be able to find truly unusual pieces. Look for quality and overall shape rather than pristine condition. One caveat, though: for soft furnishings (such as sofas) and mattresses, stick with new items from furniture stores. This way, you can ensure that there is nothing unpleasant lurking in stains and crevices. 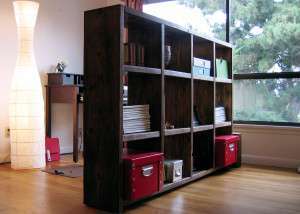 Secret #2: Repurpose Furniture and Accessories Yourself to Create a New Space. 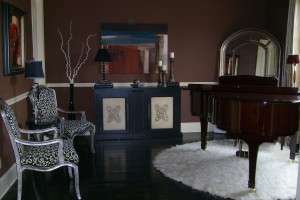 One person can buy some cheap pre-fab furniture and create a drab little apartment. 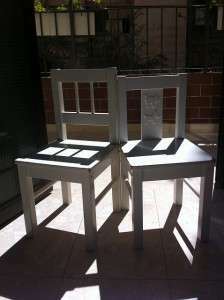 Another person may use the same basic furniture to create something special. Designers never leave well enough alone: they reupholster chairs, paint shelves, and change the hardware on pieces to create a whole new look. 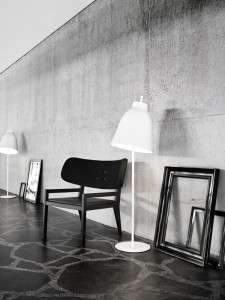 In fact, if you currently have furniture you may not even have to go out and buy completely new pieces. You may be able to simply take your worn out items or generic modular furniture and create something fresh with new fabrics, colors, and accents. The Internet is a treasure trove of unique furniture hacks. Check out this Pinterest site for tips to transform pieces or this Pinterest site for specific ways to make inexpensive IKEA furniture work harder. The Apartment Therapy blog also has a great page about furniture hacks here. Secret #3: Less is more. Have you ever seen clutter in a staged home or a magazine spread? No? Have you ever gone to an open house or to see an apartment and have recoiled because it is messy and full of junk? It is virtually impossible to create a beautiful and gracious home if it is full of stuff. Your first step if you want a beautiful home is to get rid of anything you don’t love or need. Then, pare back some more. If you sell the items, you will likely earn a bundle you can put towards new accessories and items for your home. If you have a collection of something and you can’t bear to part with it, make sure you have beautiful shelves or a storage system so that you can display your treasures. Even then, you may want to get rid of items in your collection that no longer dazzle you. Let someone else get enjoyment from some of your less-than-ideal pieces. Secret #4: No matter how important you realize lighting is, it is more important than you think. 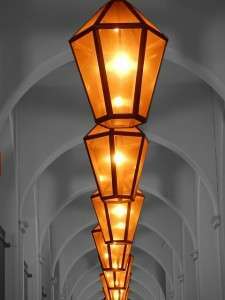 Interior designers and decorators use lighting the way artists use paint. No matter how beautiful your home is, it will still look dingy and small if there is not enough light – and the wrong sort of light can be just as bad. To get the right lighting effect, layer your lights the way you might layer textures or colors. Add several lamps to each room and switch up the light bulbs so that some of the lamps have soft violet or pink lights (perfect for mood lighting and a soft evening glow) while some have brighter lights for reading and other activities. This way, you can control the feel of a room easily with just a few switches. Secret #5: You need to work with everything you have to make a beautiful home. Everything about your apartment or house – even the stuff you hate – needs to be considered. Is your living room an awkward L shape? 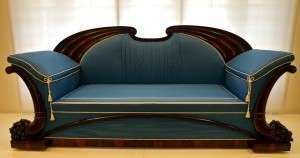 You can use that to create separate seating and entertainment areas. Do you have beautiful dormer windows? You will want to highlight those with beautiful window treatments or soft billowing curtains. In addition to working with the architectural features of your home, you will want to work with all your senses. Successful real estate agents know this: when you walk into a home, it is a full immersion experience. Your sight may be captivated with beautiful décor, but your other senses need to be engaged, too. 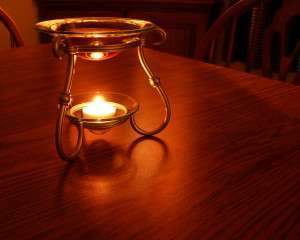 That may mean scented candles to create a great fragrance and soft music to create soothing sounds. Soft rugs under the feet can create a great tactile experience. To get a feel for the sensory impression your home leaves, stay out of your home for a few hours or an entire day. When you re-enter, go slowly and stay alert for the feel of your home. What are the first things you smell? Does the home feel too stuffy, too cold, or too hot? What does the house sound like? What is the first visual impression of your home? You can even ask a trusted friend to give you their first, impressions, too, so that you can get a sense of what you need to work on. Secret #6: A home’s interior is a journey, not something on your to-do list. If you’re moving into a new space, especially, the temptation is there to get everything “perfect” and “done” so that you can start living in your home and entertaining. Unless you have an unlimited budget and the help of a professional, though, it is more likely that getting your home settled will be something that will take time and effort. You will want to visit many stores to find the gorgeous pieces you want, and there is a certain serendipity involved. You may find that perfect chair or lamp while shopping for something completely different months from now, so there’s no need to buy your furniture out of a box today. Another reason to take it slow: your living situation and needs may change over time, and that will mean your furniture and home needs will change, too. You may decide to adopt a pet, expand your family, or take on a new job. All may require you to change how you think about your home and will likely mean that you end up making even more changes to your space. When you create your space slowly over time, you get a chance to slowly create your home to reflect where you are in life right now. Secret #7: Don’t forget the ceiling space. Most of us live at the floor level, so the ceiling may not seem like a very inspiring area. The problem with ignoring your ceiling, though, is that it creates an empty space. You may have lots of furnishings and décor items at the floor level, but if you don’t balance that out with an interesting ceiling, your rooms may look half done and rather bottom-heavy. A good solution is to paint the ceiling or to add beams if your ceiling is high. If you rent, you can use stick-on adhesives designs or simply swap out the lighting fixtures to something more dramatic. 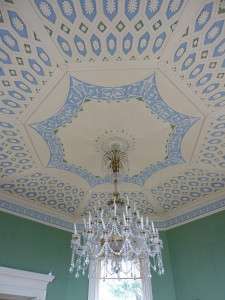 The Decoist blog here has some great ceiling ideas, as does the Shelterness blog here. Transforming your home may not go as quickly or as seamlessly as the reality shows suggest. You may need to give yourself permission to experiment and even to get imperfect results. If you use the above secrets, though, you will eventually find yourself living in a home you can’t wait to show off. This entry was posted in Decor & Style, DIY and tagged studio apartment, useful tips on June 30, 2013 by A. Antonow.